to fling myself into the unknown . . .
February is Black History Month. 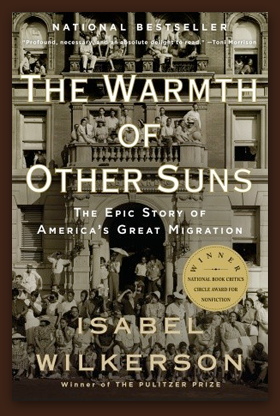 Appropriately, I just finished one of the most profound non-fiction books I've ever read: The Warmth of Other Suns by Isabel Wilkerson. The Pulitzer Prize winning author tracks three black Americans whose lives spanned during the Great Migration from the South–a time defined between early 1900s and the Civil Rights movement. We get to know energetic Ida from Mississippi, who makes her way with her husband to Chicago in the 30s, struggling to find fair wages and housing in the inner city. 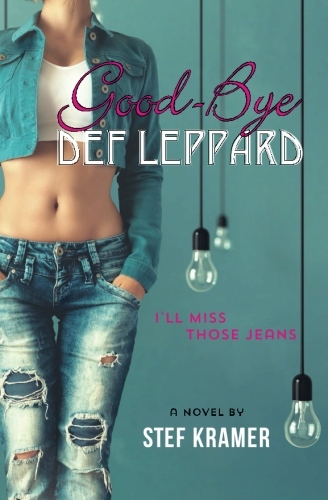 Then there's clever George who leaves the groves of Florida for New York to avoid unthinkable repercussions when he stands up for his own rights and the rights of others. And finally, we observe the life of Robert–a military doctor from Louisiana who eventually finds his way to the glamorous land of California, where it would seem tolerance would be pervasive. Before I embarked upon this book, I thought I had an idea of what I was getting into. Despite America's founding principles of equal rights, our country has had a sketchy history. But I had not really understood the depth of that sketchiness. Ms. Wilkerson doesn't just depict narratives of injustice. Statistics and other historical events are peppered throughout the book presenting themes of utter cruelty and immense courage. If you don't find yourself with a tear in your eye, a lump in your throat, or pit in your stomach, you should question your humanity. Be prepared to think about content for a while. How do you make sense of certain occurrences? Like when a group of white adults tortured a young, black boy to death, in front of his own father, for the mere act of sending a Christmas card to a white girl? Or, even events not quite as gruesome, but still ridiculous–like Jesse Owens, the infamous gold medal winner, being forced to use the freight elevator for his very own reception. It was always noted how Hitler wouldn't shake Owens hand. Well, neither would our president at the time. As I read, and thought about the timeframe of the Great Migration, which overlapped with WWII, I wondered how a country could be so indignant about Hitler when genocide was occurring in our very own United States. Lynching was not even a federal crime. It's really quite chilling and shameful. The cruelty and the hate are difficult to understand. Wilkerson is articulate in revealing how economics fed into these issues–how fear of losing workers and sharecroppers in the South initiated despicable acts and how the flood of new workers in the North gave rise to unfair wages and housing arrangements. Certainly, I was shaking my head much of the time while reading. What I found most fascinating though, were the stories of courage. It wasn't easy to leave the South. It wasn't easy to become educated. It wasn't easy to earn money. It wasn't easy to walk across a street. There was a story in the book of a Southerner who had struggled to make her way out of her oppressive state and finally landed in Washington D.C. She felt so happy and proud to have made it to her nation's capital. I thought to myself, "Really? You're proud? You're not angry with your country?" But anger is never the answer. And that's why our country has continued to socially evolve and become accepting and intolerant of intolerance. There are great stories of unsung heros in The Warmth of Other Suns. These are what inspire. This is what makes the book and the history truly unforgettable.